Commemorate this year’s Fight for the 99%. ICAN's efforts were instrumental in winning an historic victory with passage of the Affordable Health Care Act. This victory will loosen the insurance industry's stranglehold on the American health care system. But, what exactly did we win? Providing a Public Policy Voice for Small Business. The Main Street Alliance has a big vision for small business. We are dedicated to giving a new voice to small business on issues that effect us. 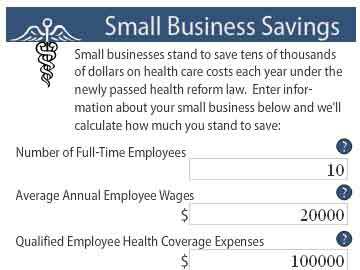 One of the health reform package’s benefits for small businesses that takes effect immediately: a new health care tax credit to help small businesses save on insurance costs. The United States faces the worst unemployment crisis of the last 70 years, with 15 million people unemployed, one-third of whom have been jobless for over six months. That is why ICAN is making jobs and economic recovery a top priority this year. 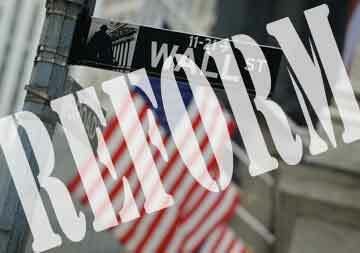 Nearly two years after Wall Street crashed our economy, and after a year of work, the House and Senate are finally ready to vote on a comprehensive package of Wall Street reforms. As the conference committee proceeds in the final stages of writing the financial regulatory reform bill, Iowans joined community leaders in 25 cities to deliver petitions today from thousands of constituents to members of Congress, urging them to pass historic Wall Street reform legislation now. Iowans will have the opportunity to thank Representative Leonard Boswell personally for his historic vote on health care reform. .
A delegation of Iowa small business owners has been invited to attend the President�s speech on health reform scheduled for Thursday afternoon in Iowa City. As members of the Iowa Main Street Alliance, these business owners represent over 500 small businesses in Iowa who have been working for health care reform for the past 20 months. On Thursday March 25th at 10:00 am, in advance of President Obama's Iowa City visit, supporters of the newly enacted national health care reform legislation will rally with signs and chanting at the Iowa City Pedestrian Mall -- on the corner of College and Dubuque Streets. Iowa Citizen Action Network as part of Health Care for America Now released this statement today following President Obama's remarks on health insurance reform. 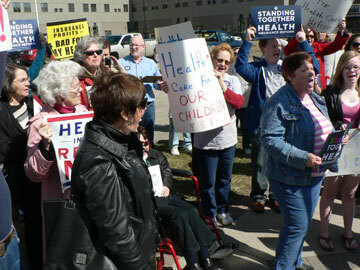 Iowans Rally for Health Care Reform: We Voted for Change. Get It Done! Demand Congress Listen to Voters, Not the Insurance Companies. Hundreds of Iowans from all walks of life arrived at the State Capitol with one demand in common: Health Care Reforms Now! Citizen groups from Waterloo, Cedar Rapids, Davenport and Iowa City converged on the State Capitol to act and stand in solidarity. Small Business Owners Call For Congressional Hearings Into Ahip/U.S. Chamber "Fraud"
Today, small business owners from the Iowa Main Street Alliance joined small business coalitions across the country to call on Congress to hold hearings into the scope and extent of the "fraud" perpetrated by the health insurance industry through their trade group America's Health Insurance Plans (AHIP) and the U.S. Chamber of Commerce. The Iowa Citizen Action Network (ICAN) as part of Health Care for America Now (HCAN)released a statement thanking Senator Harkin for voting for -- and criticizing Senator Grassley for voting against -- the motion to proceed which allows the Senate to debate health care reform legislation on the floor. On Thursday, November 12th, local residents gathered at Simon Estes Amphitheater--near Representative Boswell's office--to thank him for siding with his constituents and not the health insurance industry by voting to pass the House health care bill last Saturday night. AFSCME Iowa Council 61 and the Iowa Citizen Action Network launched a new television ad today to publicly thank Representative Leonard Boswell (IA-3) for his historic 'yes' vote on the House of Representatives' health care bill--the Affordable Health Care for America Act (H.R. 3962). Congressmen Boswell, Braley, and Loebsack have taken a great step for the people of Iowa in voting "yes" to pass the House's Affordable Health Care for America Act. Iowa and national campaign finance watchdogs ask: Who does Grassley represent? Iowa Main Street Alliance business owners participate in Health Care Reality Tour with staff from Representative Loebsack's office. Press Conference Details Positive Impact of America's Affordable Health Choices Act On Local Small Businesses, Providers and Families. Surcharge for the wealthiest Americans, Medicare tax reform, limiting itemized deductions could pay for quality, affordable health care for all with a robust public option -- while affecting few taxpayers. New report highlights need for racial justice in health care reform. Iowa Health Care for America Now details health disparities and emphasizes opportunity for equality in legislation. Media conference call to release new report highlights need for racial justice in health care reform. Iowa Health Care for America Now details health disparities and emphasizes opportunity for equality in legislation. Covers the rural and small business health care meeting in Grinnell. Letter to the editor from Main Street Alliance member asking people to call Tom Latham and protect Medicare. ICAN's Amy Logsdon on the Ryan budget and what it means for Iowa. Wednesday, at Community Health Care, Inc., in Davenport, Josephine Underwood, Campaign for Better Health Care's downstate organizing coordinator, said the reform means 32 million more people will have health insurance. 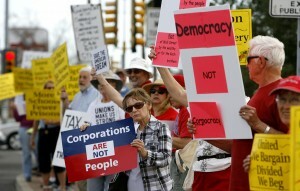 Supporters of the Affordable Care Act gather to talk about the changes on Wednesday. Changes that will expand community health centers over the next five years. That will double the patient load to 40 million across the country. The legislation promotes economic justice, according to Amy Logsdon, with the Iowa Citizen Action Network, Iowa City. More people with insurance coverage means an individual can more easily receive care at a medical clinic and turn around to purchase goods and services. Chris Peterson is all too familiar with the practice. The Clear Lake, Iowa, hog farmer not only had his health insurance policy rescinded in 2007, but several months later, his wife's policy was rescinded as well. Mr. Grgurich says he wasn't worried about the lack of coverage until he realized it could be "disastrous" to his start-up, Foundry Coworking LLC, a provider of collaborative office space in Des Moines, Iowa, "even if I broke a small bone." The forum was held by the Iowa Main Street Alliance, which is doing outreach and education for small-business owners around the state. Iowans with finish-line tape will urge U.S. Sen. Chuck Grassley to �get financial reform across the finish line� today. Business owners with the same questions gathered at a roundtable discussion organized by the Iowa Mainstreet Alliance on Monday night. Our own ReShonda Young from Waterloo is profiled in this report. President Obama stopped in Iowa City to celebrate passage of health care reform. Amy Logsdon, political director for the Iowa Citizen Action Network, said Thursday was the time to rally and march because "this is our victory." Senior advocates pushed Iowa lawmakers Tuesday to revive a measure designed to give consumers a greater voice in decisions about whether to increase health insurance rates. Iowa lawmakers need to focus more upon corporate tax loopholes and tax credits instead of cutting services to Iowans, the Coalition for a Better Iowa (ICAN is a member) said today. The Coalition for a Better Iowa (ICAN is a member) urged state lawmakers to consider addressing a state budget shortfall from the revenue side rather than focusing solely on spending cuts to balance the fiscal 2011 ledger. "Visualize what it actually means when we say people are dying prematurely from a lack of being able to access affordable, quality health insurance." Iowa legislators need to curb tax breaks to save money for services for vulnerable Iowans and to prevent cuts in teachers, human services field workers and other state jobs, an activist group that ICAN is part of said today. The recently-formed �Coalition for a Better Iowa�, which ICAN is a member, is calling on legislators to close �loopholes� which they say let businesses claim millions in unwarranted tax credits. A group health care reform advocates gathered at the Capitol today to demand congressional and state action. Several groups will rally at noon at the Capitol to �send a message to Congress that it�s time to deliver� health care reform. ICAN's Amy Logsdon quoted on making our voices heard on health care. ICAN is a statewide coalition member of One Iowa. Amy Logsdon with the Iowa Citizen Action Network says tax incentives should not be a priority because there�s a half billion dollar gap in the state budget. Iowans have a right to know which businesses obtain tax credits, some speakers at a hearing going on in Cedar Raids[sic] have said. The bill the Senate begins debating this week could be setting Americans up for disappointment: Some of the main reforms would not take place for several years, and even when they do, some observers, including ICAN executive director Betty Ahren, say, the bill does too little to make sure they would be enforced. With the 2010 elections right around the corner, Iowa Citizens for Community Improvement, along with ICAN, is taking aim at Iowa campaign finance reform by lobbying for both campaign contribution limits and a public financing option for state politicians. Matt Russell former ICAN community organizer is among five USDA appointees to the Iowa Farm Service Agency State Committee. Small business owners from across the country, including ReShonda Young of Alpha Express, Waterloo, Iowa, are crashing today's fall conference of the health insurance lobby in downtown Chicago. U.S. Sen. Tom Harkin met with several small business owners this weekend to draw attention to the benefits of health care reform for those owners and the self-employed. Senator Tom Harkin met with Central Iowans at Hiland Park Hardware in Des Moines Friday to talk about health care reform. As debate continues in Washington on health reform legislation, Iowa small business owners will tell their stories to Senator Harkin on Friday and Saturday during "Health Care Reality Tour". Iowa Main Street Alliance members are participating in a "health care reality tour." Their goal is to show how the health reform can affect small business and the local economy. About 140 people frustrated with health insurance companies said they want lawmakers to know that they support a public option. After years on the sidelines of the health care debate, progressive small-business owners held rallies and news conferences and showed commercials to shore up sympathetic legislators. Boswell said he is hopeful meaningful health care reform can pass with bipartisan support, but indicated Democrats should move forward without the help of GOP lawmakers if that is what it takes. Health care protesters rally outside Loebsack's office in Iowa City. Want health care as good as Senator Grassley's? 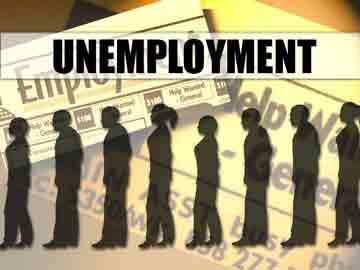 Apply for a job with the federal government! Can grassroots groups influence Grassley? Progressives hope to pressure Iowa's senior senator on health care reform. Residents and governments of the 50 states and the District of Columbia will receive $849 billion in new federal funding for health coverage over the next decade under proposed federal health reform legislation. The Economic Policy Institute's report on the unemployment crisis that compares where we were in 2007 when the recession began with where we were at the end of the third quarter in 2009 and where we expect to be at the end of the third quarter of 2010 when many expect unemployment to peak. Based on a survey of 1,237 small business owners from 13 states, this report assesses participating small businesses� experiences with the economic recession and evaluates Main Street business owners� views on financial reform. The survey found strong support among participating small business owners for financial reform and creation of a consumer financial protection agency. The Economic Policy Institute proposes the American Jobs Plan, a plan that would create at least 4.6 million jobs in one year. A central component of the Jobs for American Now coalition�s 5-point plan is direct job creation through the public sector. The Community Jobs Program developed by the Center for Community Change and other coalition partners puts $40 billion in federal investment to work rebuilding communities and restoring dignity to families. In light of all the lies, distortions, and misinformation that have been spread about health care reform, Health Care for America Now has created a chart to show how the health care system would really work under America's Affordable Health Choices Act. Skyrocketing premiums and out-of-pocket medical costs are battering family budgets, eroding U.S. competitiveness in the global economy and threatening the American standard of living. FamiliesUSA's April 2008 report outlines not only the potential human impact of these regulations, particularly on children and people with disabilities, but also how the regulations will cause serious and quantifiable harm to state economies. Iowa's state consumer protections for individuals in the health insurance market lead to the growing problem of the uninsured. Are We Investing in our Children? A State of the State Report on Iowa's Children. Are We Investing in our Workers? A State of the State Report on Iowa's Workers. A report on the status of housing affordability in Iowa, from the Iowa Coalition on Housing and the Homeless. Iowa Citizen Action Network (ICAN) is a grassroots public interest organization and progressive political coalition committed to creating social change in Iowa and across the nation. ICAN has united Iowa's progressives for over 30 years and is leading efforts to change the public climate for progressive change. ICAN has nearly 40 organizational affiliates from a wide range of constituencies, including religious, community, labor, senior, family farm and environmental organizations, and over 6,000 individual members.